At New Leaf, we understand how cocaine addiction can take over your life. We will tailor an innovative treatment programme that will address your needs— body, mind, and spirit—so you can get your life back on track. Your individualised drug rehab program might include detox (if combined with other dependency class substances), individual therapy, group therapy, family therapy and a wide array of other treatment services designed to ensure you receive the highest standard of addiction treatment and achieve sustained recovery. 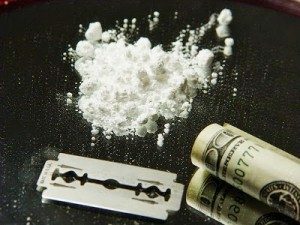 One of the most widely abused narcotics in the history of modern society is cocaine, which is considered the primary drug threat across the world. More than 15% of people in this country have used cocaine at least once—and nearly half of all alcohol/drug-related A&E visits are related to cocaine use. 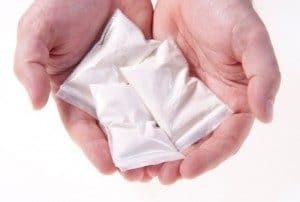 With cocaine, the user experiences a euphoric high that heightens the senses, increases energy and mental alertness, and boosts confidence, making them feel more “alive.” This is because cocaine stimulates the brain’s pleasure receptors— dopamine and serotonin. The effects of the drug can begin to dissipate within an hour, which triggers the desire to use again. This repeated activation of the brain’s pleasure receptors alters the brain’s chemistry so that it “remembers” that feeling of euphoria, and associates the drug with that feeling. As a result, the user believes the only way to achieve that sense of well-being again is to use more cocaine. Different forms of cocaine—such as crack—can be absorbed more quickly into the bloodstream. However, faster absorption also results in a shorter high. The physical effects of cocaine can begin to manifest even after the first use. Initially, the user may experience dilated pupils, a manic “rush” of energy, elevated heart rate, increased blood pressure, or fever. The effects of prolonged cocaine use include tremors, severe weight loss as a result of a decrease in appetite, constriction of blood vessels which could eventually lead to heart attack or stroke, sexual dysfunction, respiratory problems, itching or a sensation of skin “crawling”, and even convulsions. Snorting cocaine can damage the sinuses and mucous membranes, causing nosebleeds and eventually a deviated septum. Repeated use severely impairs the central nervous system, the brain, and cognitive function. Psychologically, repeated cocaine use can cause panic attacks, severe mood swings, paranoia, hallucinations, and erratic behaviour. Habitual users may begin to demonstrate personality changes akin to schizophrenia. Withdrawal symptoms from cocaine can include delirium tremens, anxiety, exhaustion, depression, nausea, and vomiting.